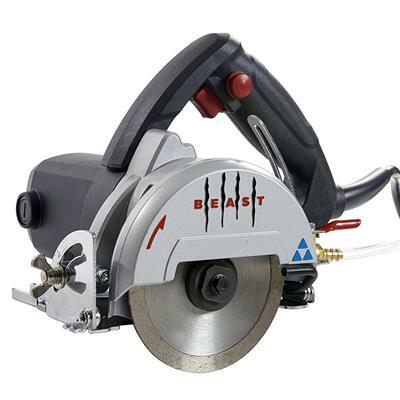 The Lackmond BEAST5 5 in. 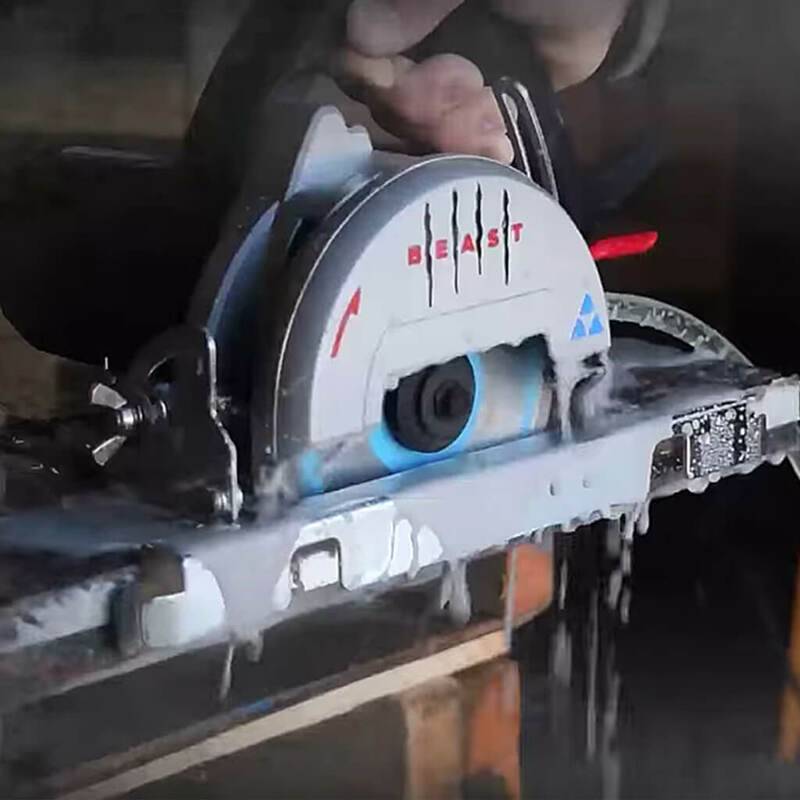 Stone and Tile Saw is designed and engineered as a joint venture with Lackmond Products and Delta. 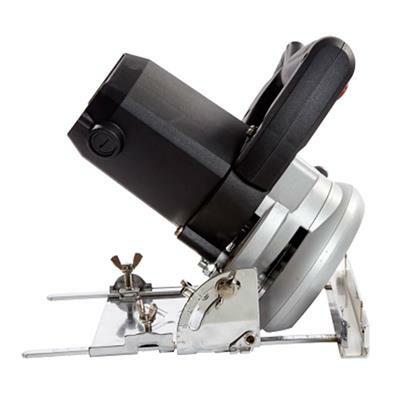 It is capable of executing a diagonal cut or rip cut on virtually any size of tile or stone. The integrated plunge cut feature provides up to 1-1/4" depth of cut at 90° and an impressive 1" when in the 45° bevel position. Our high strength rip fence ensures accurate rip cuts over long tiles, and can be reversed to allow precise depth control when working on a flat surface. The 12 AMP motor makes the BEAST5 one of the most powerful saws in its class - easily capable of cutting through hard 3 cm thick granite slabs. One-piece gearbox/handle assembly provides increased strength and allows for incredible cutting accuracy. 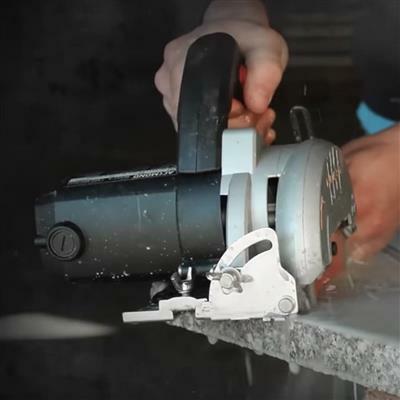 The BEAST5 is designed to accept both concave and standard blades and is an essential tool for any tile or stone contractor. 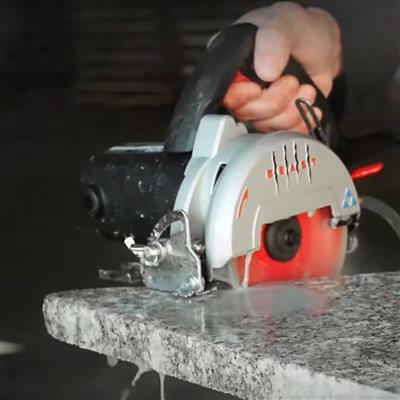 The durable metal base plate provides a strong support for cuts ranging from thin ceramic tile up to 3 cm thick granite and stone.